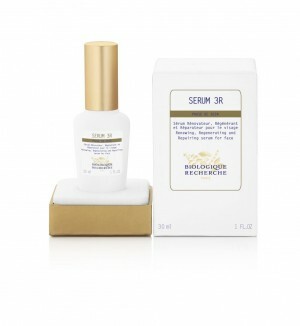 Sérum 3R is a combination of 12 powerful active ingredients targeting the causes and consequences of skin ageing. Its exfoliating action allows better cell regeneration, its antioxidant active ingredients including cranberry and walnut extracts fight free radicals while the chestnut wood and tropical almond are firming active ingredients that act to re-tighten facial skin. Lastly, anti-inflammatory active ingredients aim to repair the immune function which deteriorates with time, and its active ingredients rich in hydrating agents (and encouraging the natural synthesis of lipids) rebuild the hydrolipidic barrier which begins to become deficient from the 40s. This renewing, regenerating and repairing (3R) serum offers a complete response for all ages, to prevent or fight the signs of ageing. Devitalised and/or mature Skin Instants®. Exfoliating agents: Sodium Salicylate, Lactobionic Acid, White Willow Bark Extract. Antioxidant agents: Cranberry Extract, Antioxidant Tripeptide, Walnut Extract. Firming/reconditioning agents: Complex with an Elder Flower, Chestnut Wood and Tropical Almond Leaf Extract, Nopal Oligosaccharides. Anti-inflammatory agents: Skin-protective agents, Rhamnose-rich Polysaccharide. Hydrolipidic film reconditioning agents: Opuntia Ficus-Indica Extract, Pichia Anomala Extract.